Bagan, like so much of Myanmar we’ve seen so far, is chaotic, hot, and more than just a little enthralling. 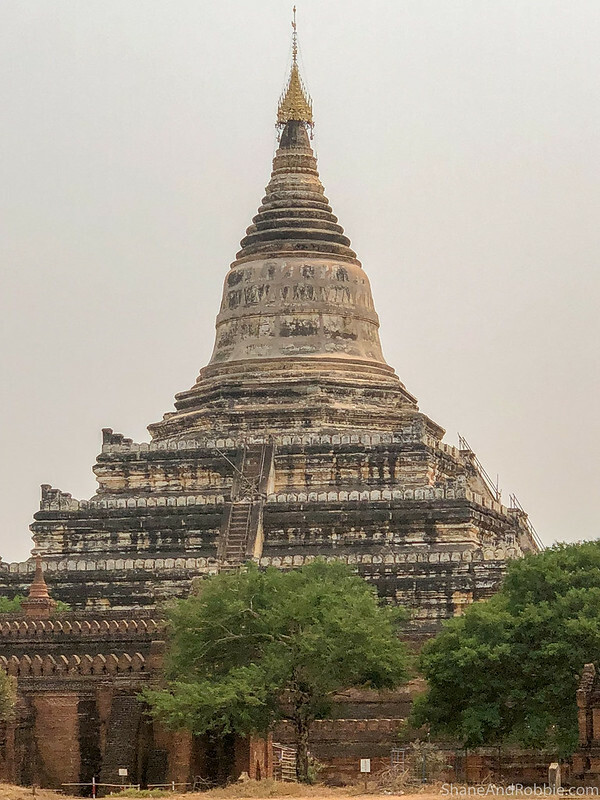 We spent the entire day today exploring temples around the Bagan Archaeological Zone (BAZ), and are completely captivated by the history, culture, and charm of this historic site. 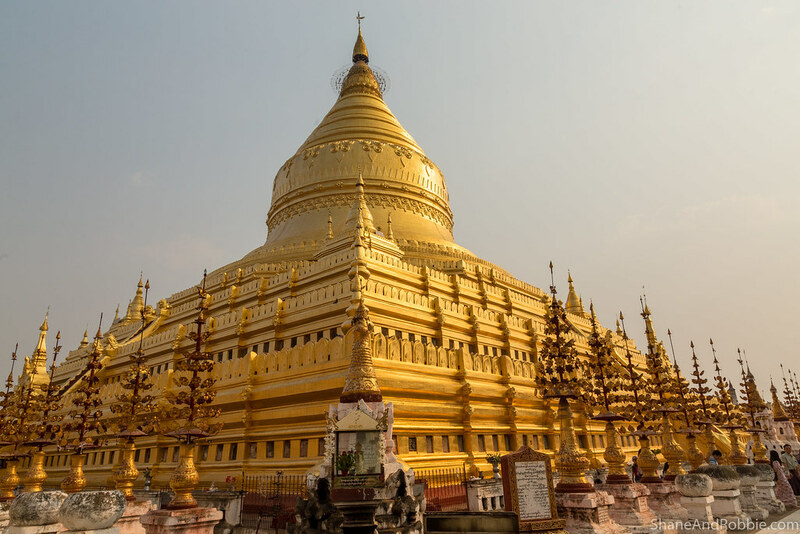 From the 10th to the 13th centuries, Bagan was the political, economic, and cultural nerve center of the Pagan Empire – the first empire to unite all the peoples and lands of Myanmar. 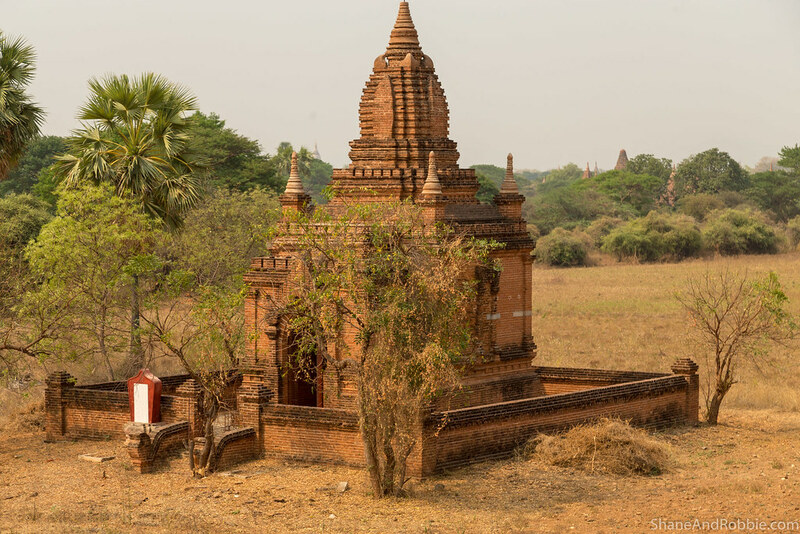 The plains of Bagan were once home to 250,000 people, and their stone places of worship remain to this day. Though the wooden homes, shops, and palaces of that era has long since dissolved to dust, the people of the ancient Pagan Empire have left their mark here. 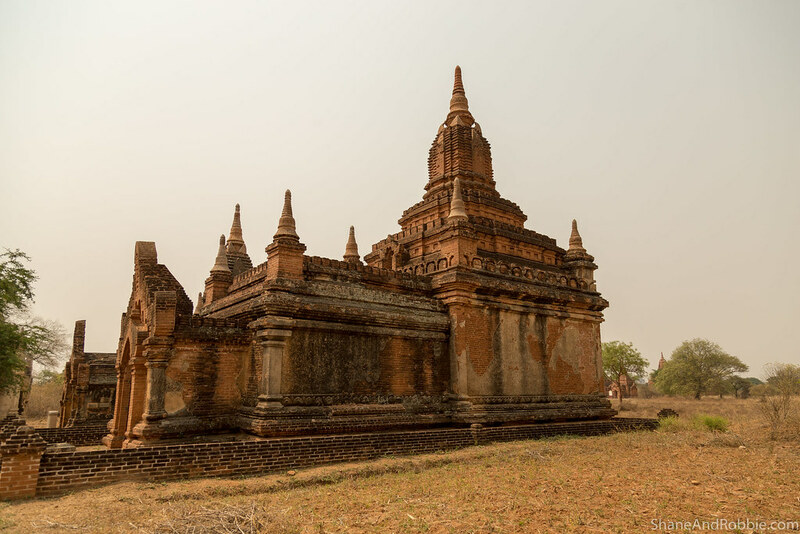 Over the course of 250 years, the rulers of the Pagan Empire and their wealthy subjects constructed over 14,000 religious monuments (consisting of approximately 1,000 stupas, 10,000 pagodas or temples and 3,000 monasteries) over an area of 104 square kilometres in the Bagan plains. 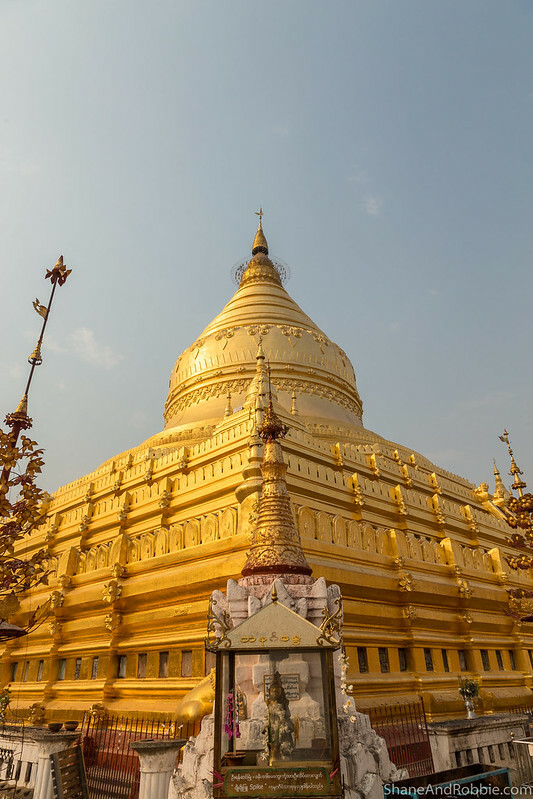 Originally the temples were dedicated nat spirit worship*, but when Theravada Buddhism was introduced to the Pagan Empire in the mid-11th century, this became the dominant religion (which it still is to this day in Myanmar). As a centre of Buddhist learning, the prosperous city of Bagan grew in size and grandeur, and became a cosmopolitan center for religious, medical, and legal studies. 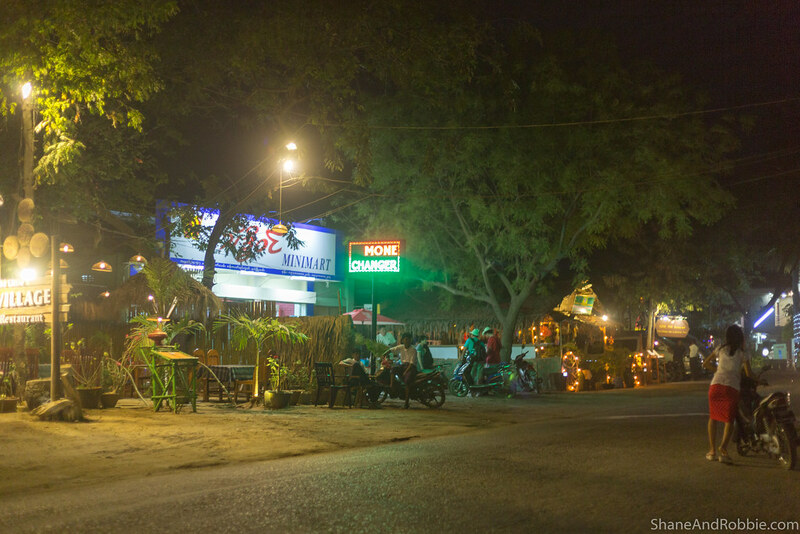 The city attracted students from as far as India, Sri Lanka, and the Khmer Empire (i.e. what is now modern-day Cambodia). *From what we’ve seen, nat, or nature spirit, worshipping is still very much alive in current day Myanmar, with hybrid of Buddhism/Animism being practiced by most Burmese. The Pagan Empire collapsed in 1287 due to repeated Mongol invasions, and Bagan was decimated and reduced to a small town, never again to regain its preeminence. 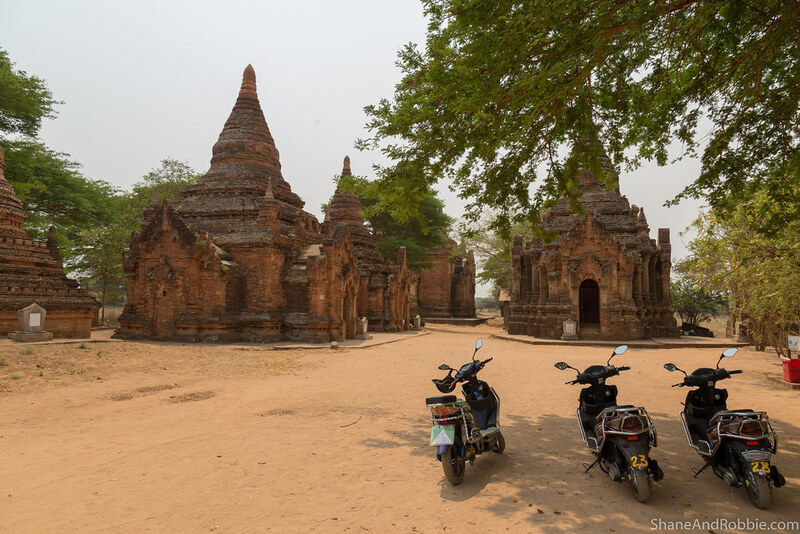 The old capital remained a pilgrimage destination for Buddhists, but only a few of the many temples survived the test of time. For the thousands of less famous, out-of-the-way temples, earthquakes and time have caused them to fall into disrepair. For the few dozen temples that were frequently visited, however, regular upkeep has kept them in good condition. It was these major temples that we focussed our attentions on today in our tour of the BAZ. Shwesandaw Pagoda did not disappoint. King Anawrahta, founder of the Bagan Kingdom, built Shwesandaw Pagoda in 1057. 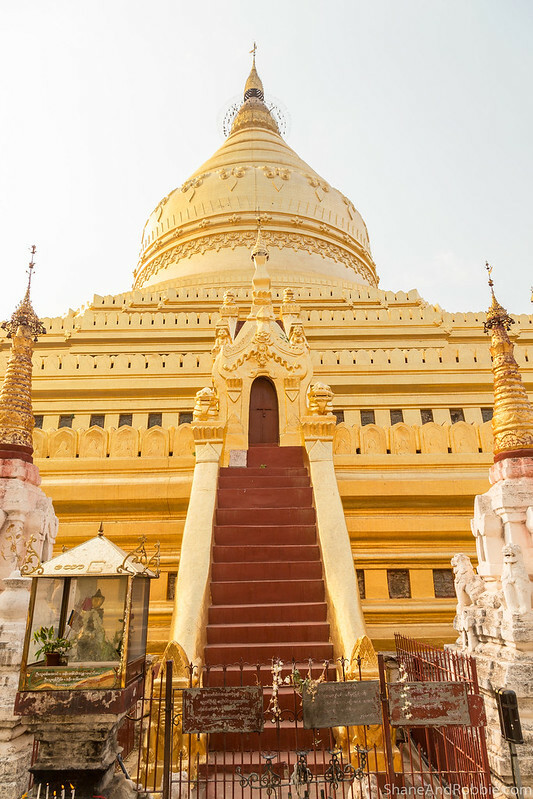 After his conquest of the Mon Kingdom of Thaton, the king constructed the temple to enshrine hair relics of the Gautama Buddha, which were brought from the defeated empire. The pagoda’s terraces were once adorned with hundreds of terracotta plaques depicting several Jataka tales (i.e. stories about the previous lives of the Buddha). Unfortunately, none of these are left today as they were removed during recent renovations*. 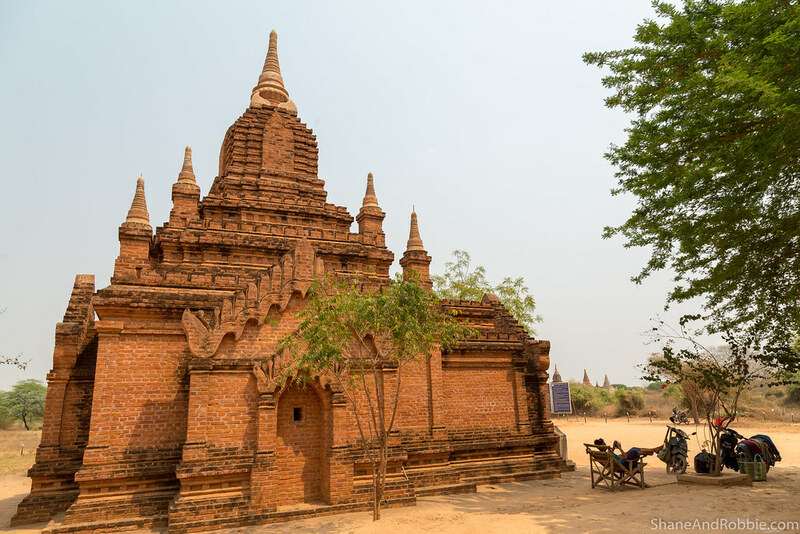 *Many of Bagan’s monuments were restored by Myanmar’s former military government in the 1990s following an earthquake. The renovations used a lot of concrete and detracted from the beauty of the BAZ. 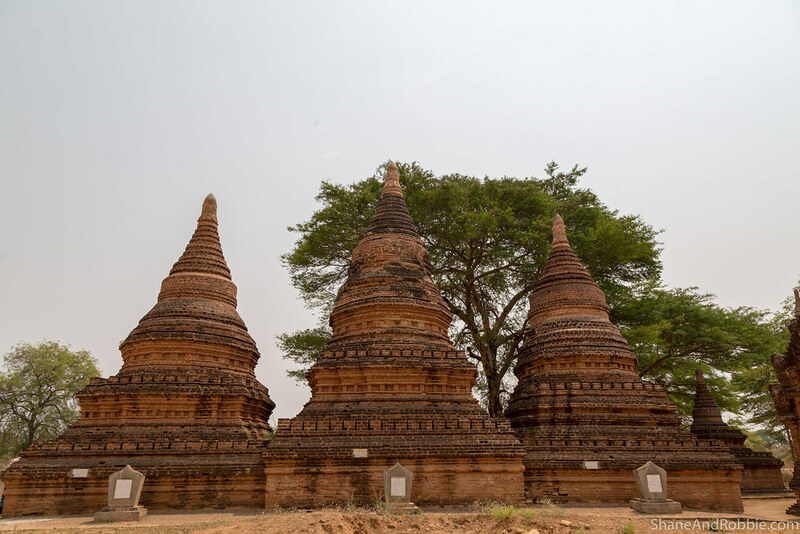 Despite its incredible history, Bagan failed to be listed as a UNESCO World Heritage Site due to these unsympathetic renovations and poor management of the site. The 2016 earthquake destroyed much of the military’s clumsiest restoration work, however, so efforts are now underway to re-renovate many of the temples. Myanmar’s new civilian government is planning a fresh World Heritage bid for Bagan, and there is talk of the BAZ being listed with UNESCO in 2020. More recent is the Gubyaukgyi Temple, built by King Kyanzittha in the early 12th century. Gubyaukgyi’s architecture shows Indian influence, being based on the Mahabodhi temple of Bodh Gaya in India (the place where the Buddha reached enlightenment some 2,500 years ago). The interior walls and ceilings of this temple were decorated with fragments of ancient mural paintings that depict scenes from the previous lives of the Buddha. After lunch we explored the Nanpaya Temple, built to house the captive King Thaton of rival nation, the Thaton Kingdom King Makuta. 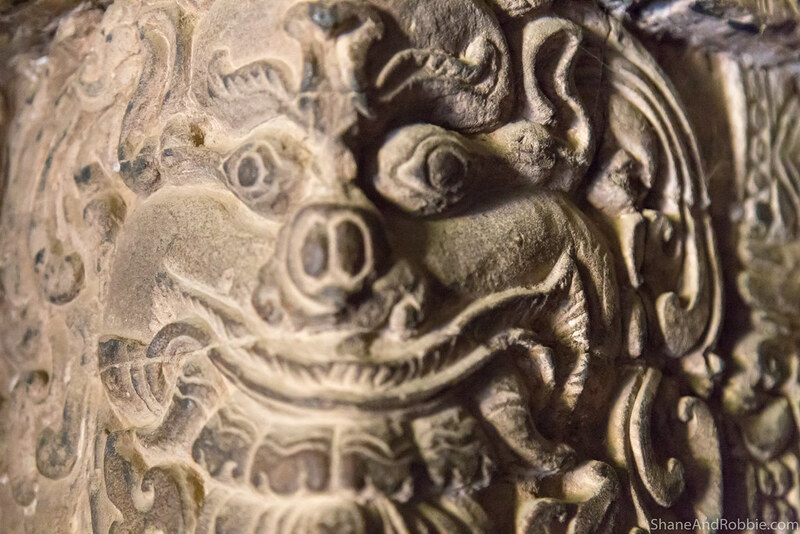 Built in the 10th century, originally Nanpaya was a Hindu temple, and inside there were intricate carvings of Brahma and other Hindu gods sitting alongside statues of Buddha. 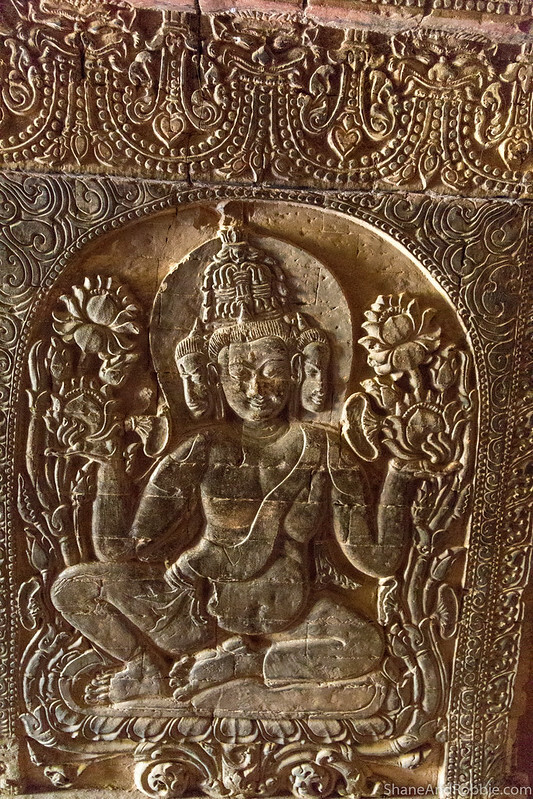 A fascinating insight into a time when multiple religions lived side-by-side, how Buddhism was often adopted in a “layered” fashion with pre-existing modes of worship. 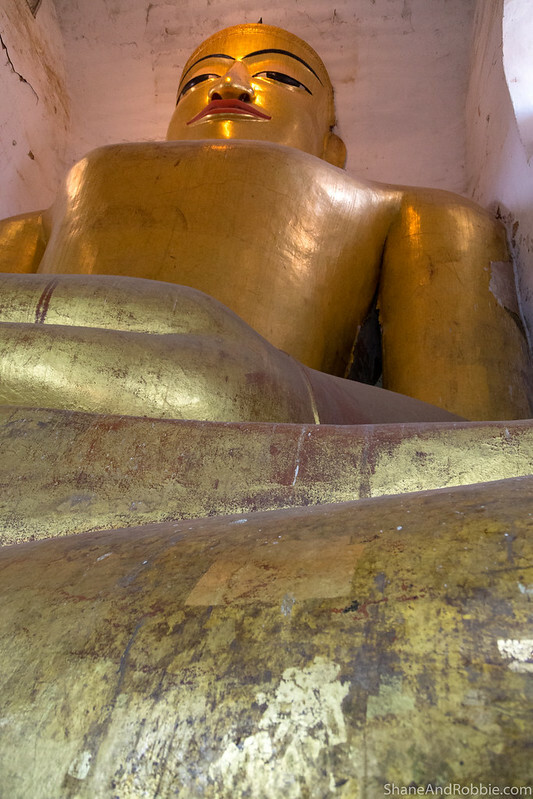 Just next door to nanpaya was the Manuha Temple, a Buddhist temple that contains 3 enormous images of seated Buddha. Legend says that this temple was was built in 1059 by the captive King Thaton to represent his displeasure at captivity. Having hit our limit of temple sightseeing, we then headed back for an afternoon snooze and to escape the worst of the heat. Rested and rejoicing after a day well spent, we went for dinner in New Bagan and ended up at a pizza place. 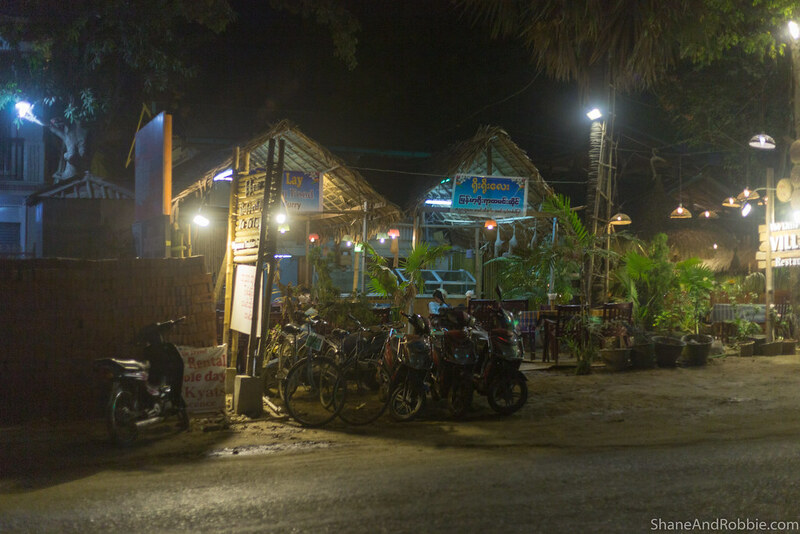 Not what you would expect to find in rural Myanmar, but the pizza was amazing! 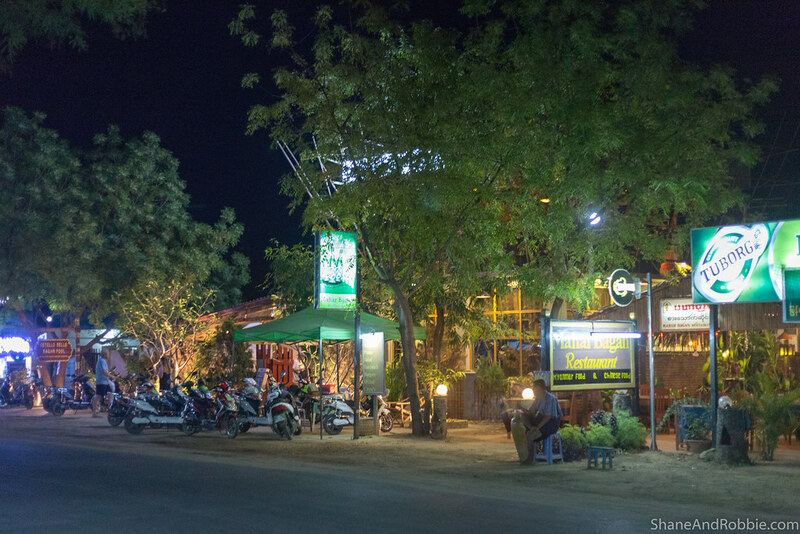 Turns out the place was established 2 years ago by a lady from Naples who came to visit the temples of Bagan and fell in love with the place. There certainly wasn’t any prosciutto on the menu, but the mushrooms, capsicum, onion, and chicken were good. The only pizza we weren’t so keen on was the chicken curry and pineapple pizza!